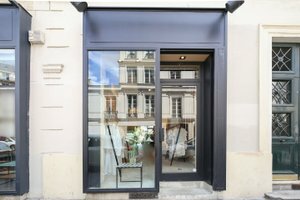 This charming boutique is advantageously located in the heart of Le Marais, on of the top retail areas of Paris. With a strong character and authentic feel, it's a great opportunity for brands to host engaging Pop-Up Stores in a busy area. The space has authentic interiors with exposed brick walls, original wooden ceiling beams, and a narrow layout. With basic amenities and a counter, this boutique is equipped for fashion brands to curate their ideal retail environment. 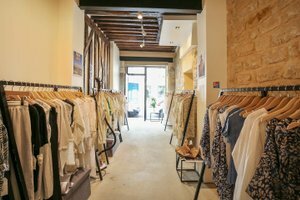 This ready-to-rent store is on one of Le Marais top retail streets, it's surrounded by fashion retailers, art galleries and independent stores, it's a prime opportunity for brands to make a retail debut and connect with customers.